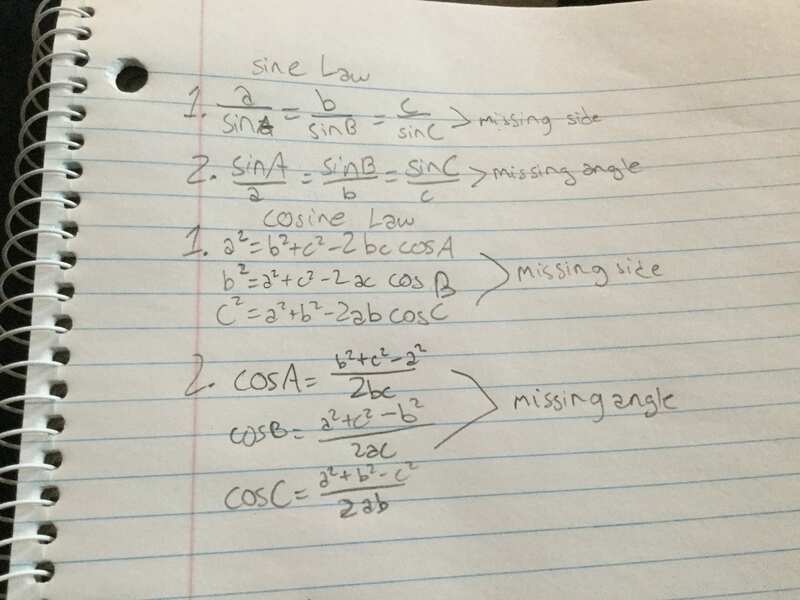 This week in precalc we learned about sine and cosine law and when to use them. 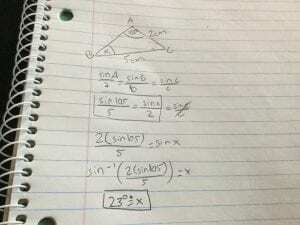 Sine law is used when you have an angle with a number across from it, then another number somewhere else on the triangle. 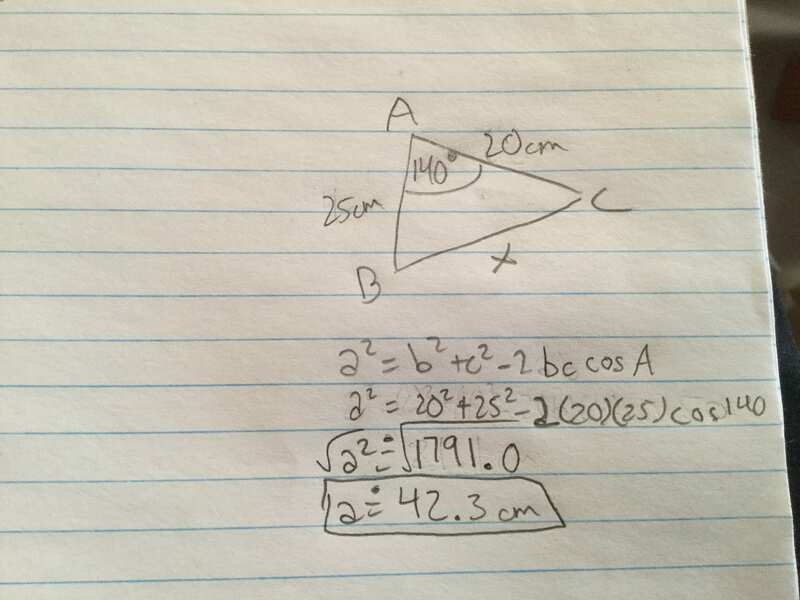 Cosine law is used the rest of the time. Sine law has 2 different equations consisting of 3 fractions, the equations are either for finding a side or an angle. 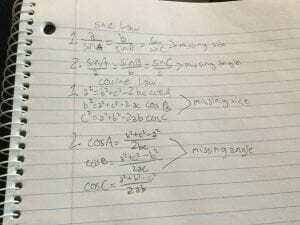 Then cosine law has 6 different equations in total, 3 of which are for finding a side and the other three are for finding the angle. 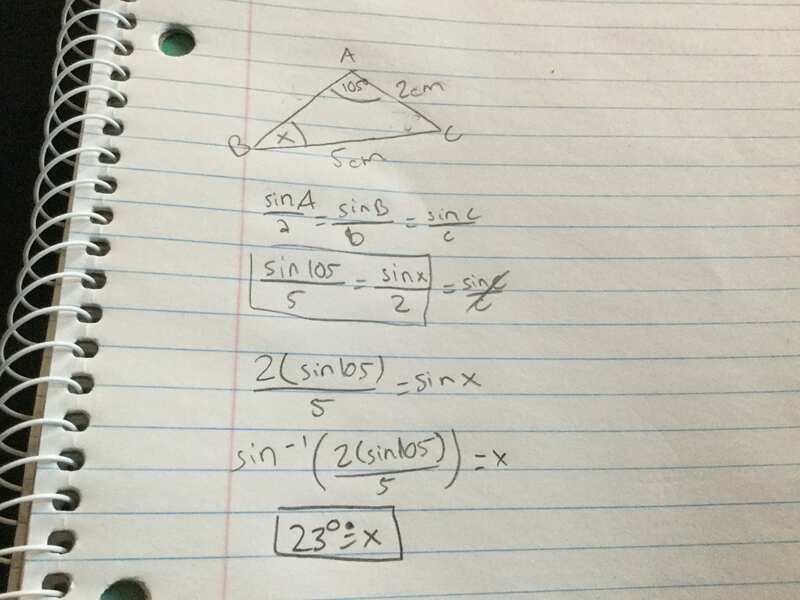 Here is an example of sine law. 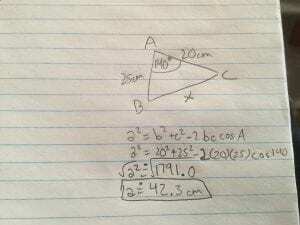 Then here is an example of cosine law.